How do I add a fund? How do I merge funds in Fundriver? How do I deactivate/close a fund? How do I populate Fund Profile drop downs? How do I set up an endowment to reinvest a portion of its distribution back to principal? How do I set up distribution rules? How do I attach documentation to a fund? How do I add a new ASSET CLASS? 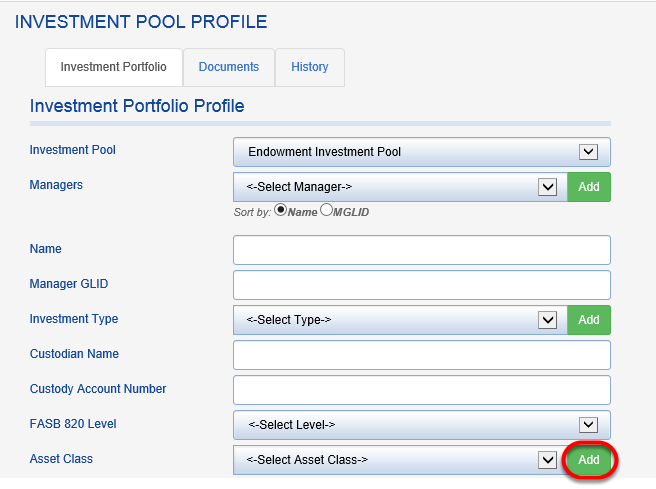 If you add a new manager to the Investment Portfolio Module or need to reclassify a manager to a net asset that doesn't currently exist in your system, you can create a new ASSET CLASS by following the instructions below. Log in to Fundriver and click on the ORGANIZE tab. Scroll down to ASSET CLASS and click on the green ADD button next to the field. Enter a name for your new asset class and click SAVE. 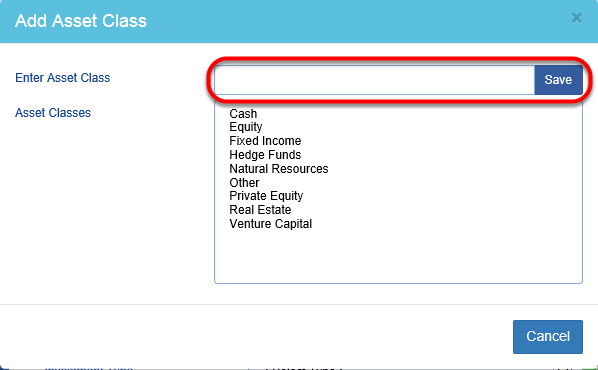 Check the ASSET CLASS drop down to make sure the addition registered in your database. You may now begin to use your ASSET CLASS for new or existing managers. How do I enter Manager Investment Activity on the Import Template?